Who wants to be part of a big pirate party at Polly Woodside? Well here's your chance at the Trust Kids! Polly Pirate Day. This event is divided into 7 fantastic activity areas that include Treasure Hunts, Pirate Classes, Pirate Movies, An Interactive Quiz, Pirate Workshop, Sailing Classes and Pirate Games. You'll be allocated a team and every 20 minutes a bell will ring and you'll race to your next activity. If you complete an activity within 20 minutes, you'll receive a pirate stamp. 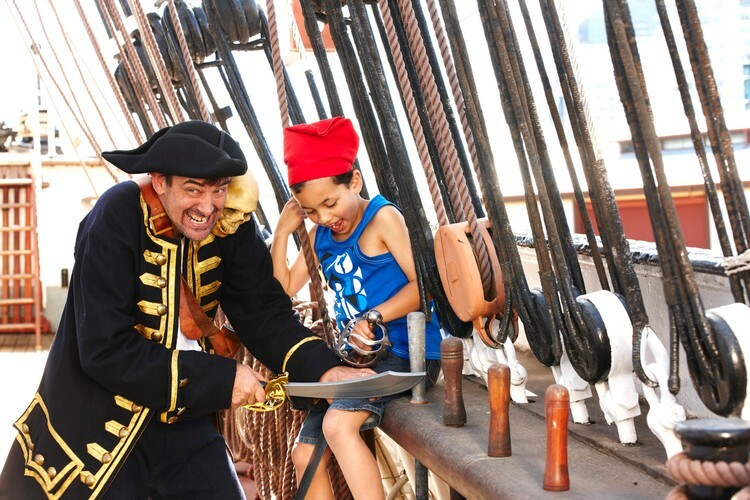 Once you have successfully completed 6 activities and received 6 pirate stamps, you'll enjoy a theatrical pirate performance and take part in a pirate parade where you'll receive your very own pirate certificate. It's going to be an action packed event filled with games, adventure and a whole lot of pirates, come join the party! Make sure you book ahead to confirm your spot and arrive at least 15 minutes prior to the event start time. How about a picnic lunch before or after the big event. There's plenty of green space outside Polly Woodside to enjoy.